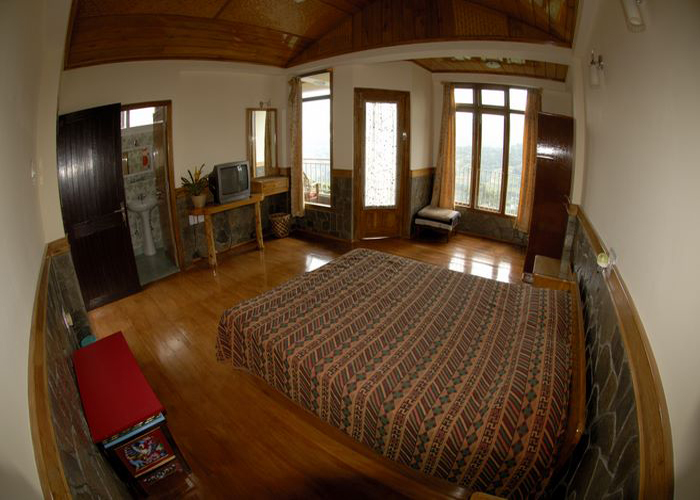 Accomodation : We have 12 spacious double bedrooms and a well stocked library. 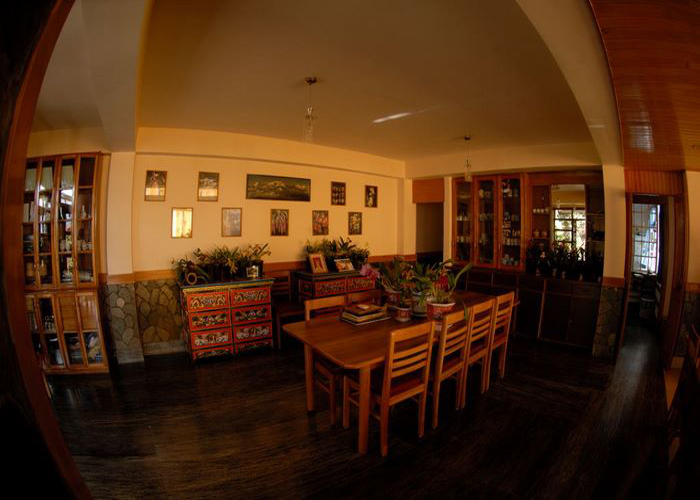 All rooms are with wooden floors and the walls are done up with locally available flat stone work. 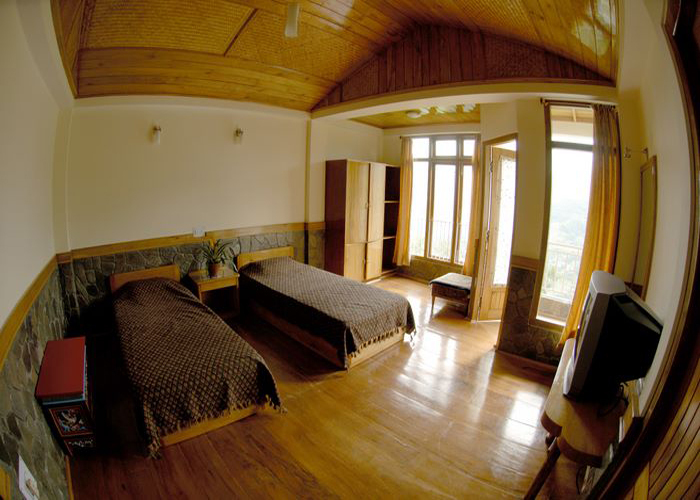 Each bedroom has a modern attached bathroom, running hot and cold water. 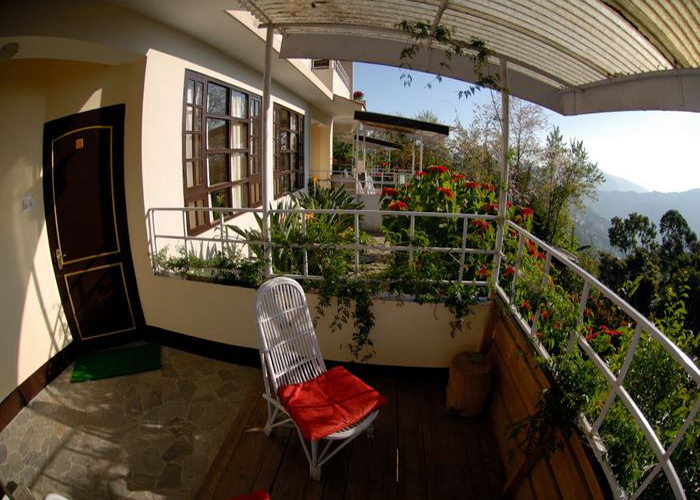 From the sit out verandah you can enjoy an unobstructed panoramic view of surrounding rolling hills, terraced fields, wildlife, Rumtek Monastery, Rani Khola (river) and major view of Gangtok town while you wine and dine in quiet splendour. Amenities : We serve food in consultation with the guest and take care of dietary restrictions, if any. We have our own kitchen garden and milch cows and so you can rest assured of healthy organically grown vegetables and milk in your diet. In the evening we even provide "Chaang", local prepared alcoholic beverage made from millet. 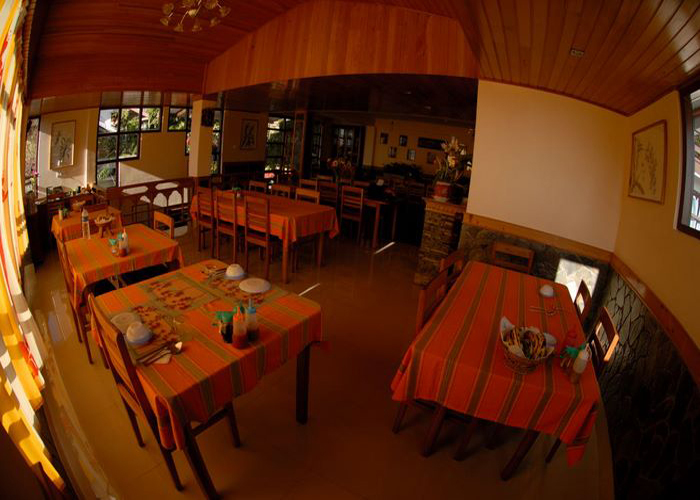 Dining : Meals are served in an attractive cozy Dining Hall and is totally family run. There are no fixed meal. Nursery : The entire Retreat is connected with stone paved pathways which lead up and down the hill into the dense forest and orchid nursery. Benches are located along the forest area for those quiet moments fostering relaxation and good health. Your stay with us means you enjoy the ‘hidden forest’ whilst living in great luxury. 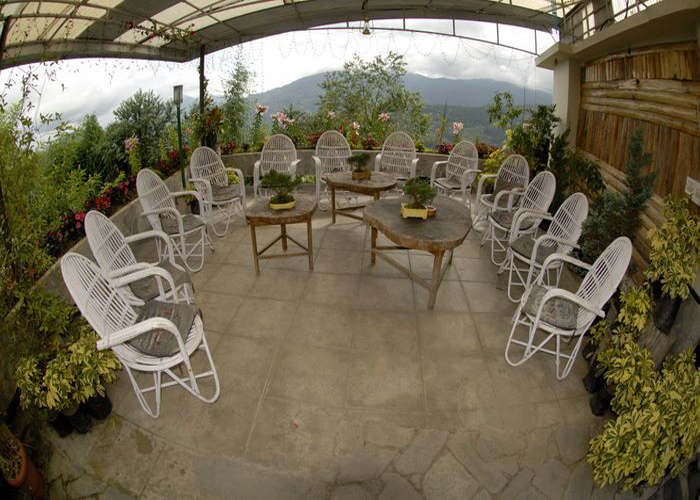 The nursery was established in 1975, specializing in Orchid Tissue Culture, hybridization of Orchids, Alpine bulbs etc. We also propagate many other plants like Bromeliad, Azaleas, Japanese Cherry, Junipers etc. Besides these we even have the germplasm collection of Himalayan Orchids. 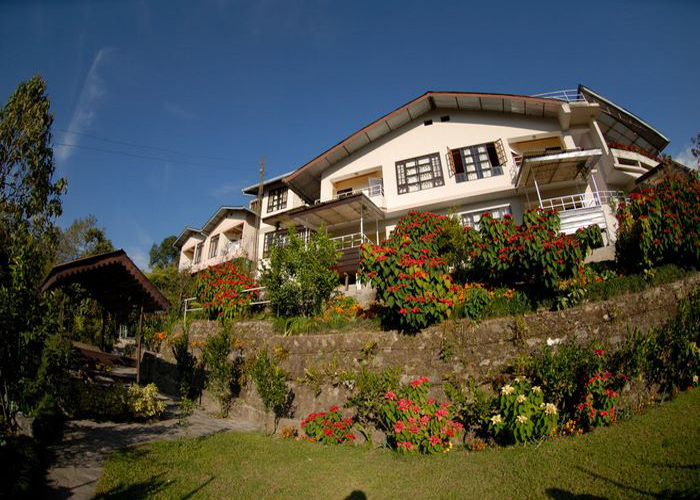 It is spread over three acres of lush green garden with all kinds of trees, bamboos, ferns, flowers, shrubs, lilies and orchids with a variety of birds and butterflies making this their home. A veritable gift of nature’s bounty brought within the ambit of a retreat. Amidst this peaceful environment, the only sound you will hear is the chirping of the birds and sound of crickets. The luxury of this quiet retreat embraces our guests with the charm of an extremely private residence. 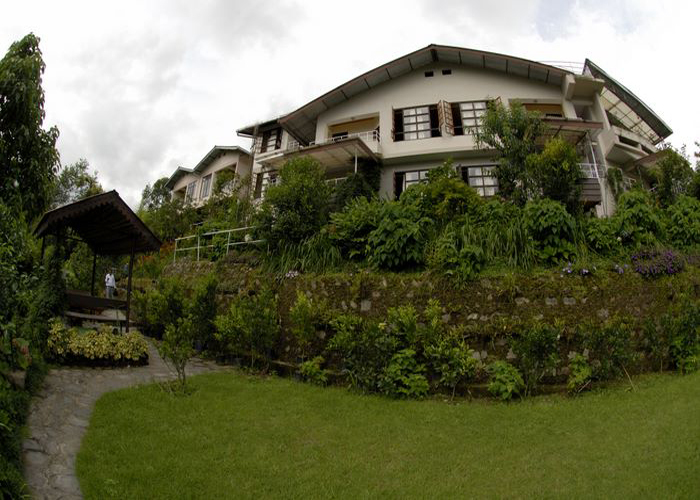 It offers clean and elegant accommodation, coupled with genuine friendliness of a family run place. 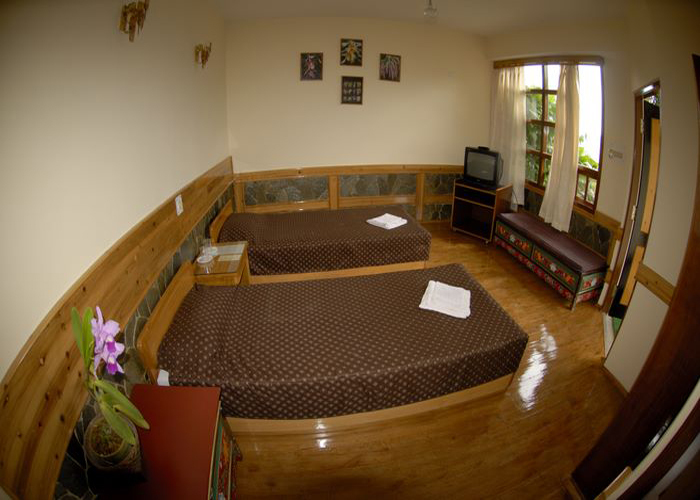 Address : Middle Sichey , Gangtok - 737101, Sikkim.